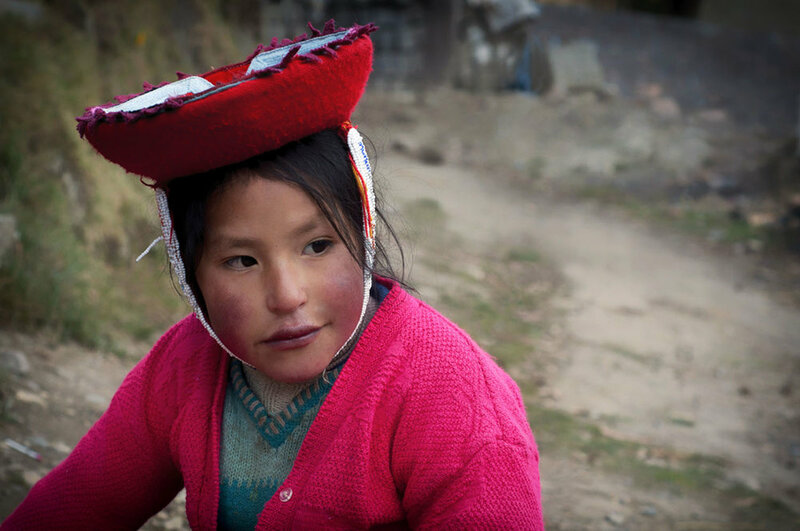 A young Quechuan girl in traditional dress, village of Patacancha, Cusco, Peru. 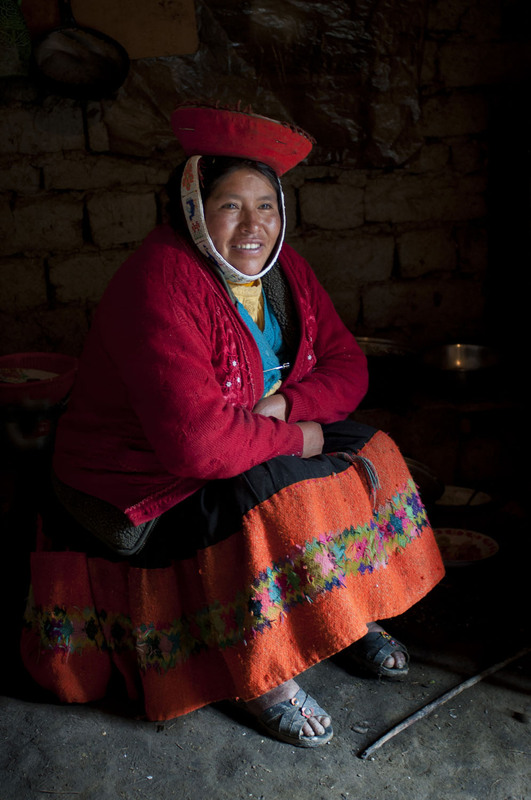 A Quechuan woman sits in her kitchen after preparing lunch, Patacancha, Cusco, Peru. 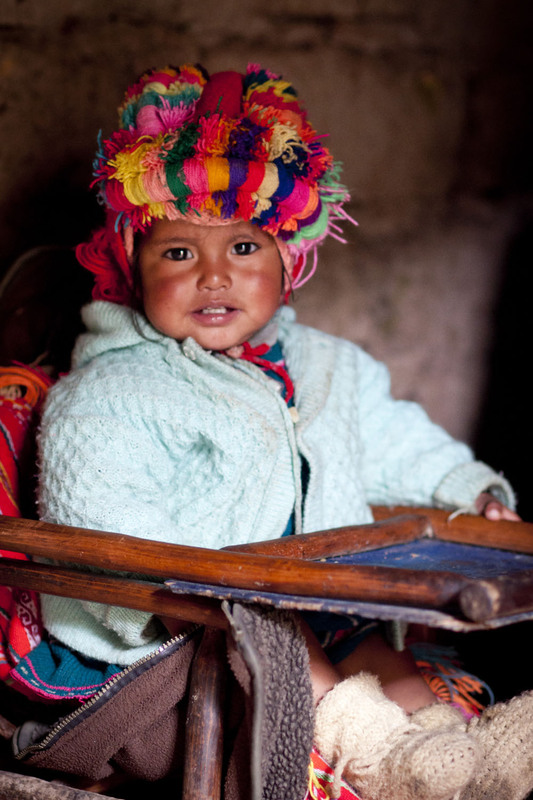 A Quechuan baby wearing traditional hat, sits in a high chair awaiting lunch, Patacancha, Cusco, Peru. 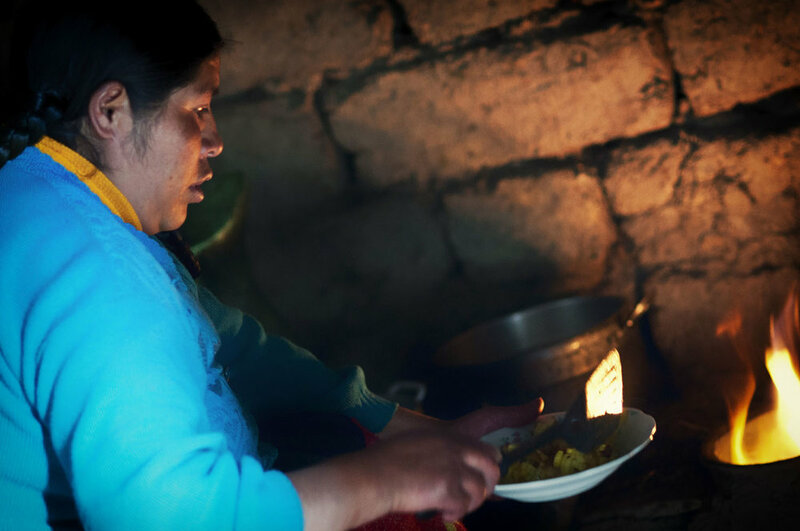 A Quechuan woman cooking in her kitchen, made of adobe bricks. 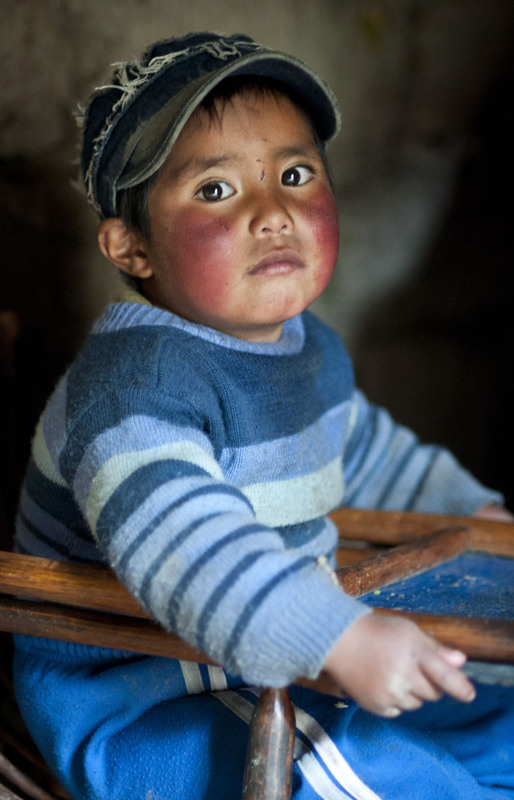 A young Quechua boy sits in high chair, awaiting his meal, Patacancha, Cusco, Peru. 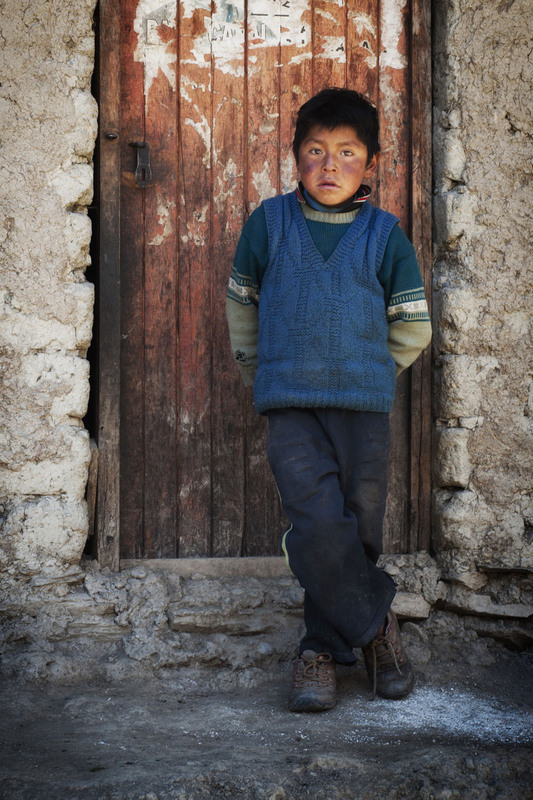 A boy stands at the front door of his house made of adobe bricks, and dirt floors, Patacancha, Cusco, Peru. A woman dyeing wool, with baby in tow, Patacancha, Cusco, Peru. 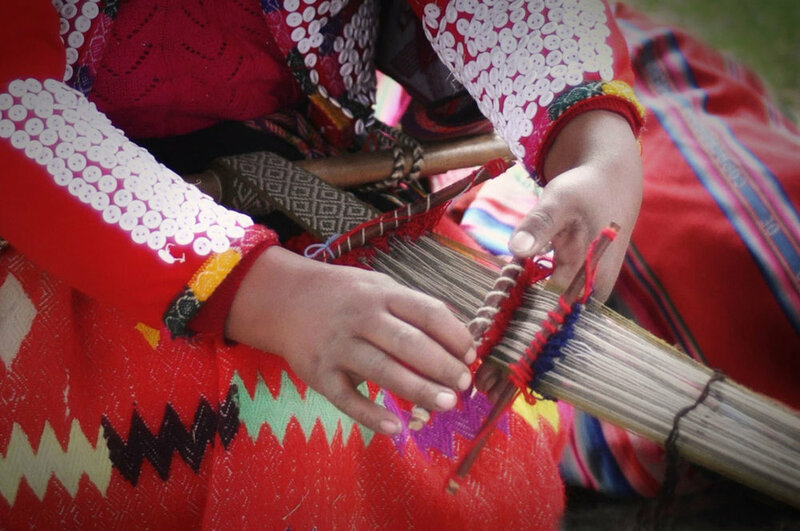 A Quechuan woman weaves, using a traditional backstrap loom, where one end is secured to a tree or post, and the other around the woman's back. Patacancha, Cusco, Peru. 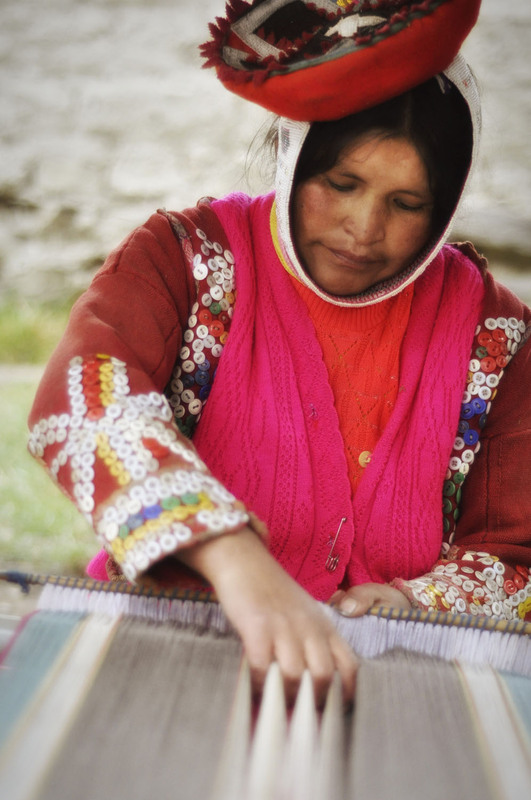 A woman weaves using a traditional backstrap loom, Patacancha, Cusco, Peru. 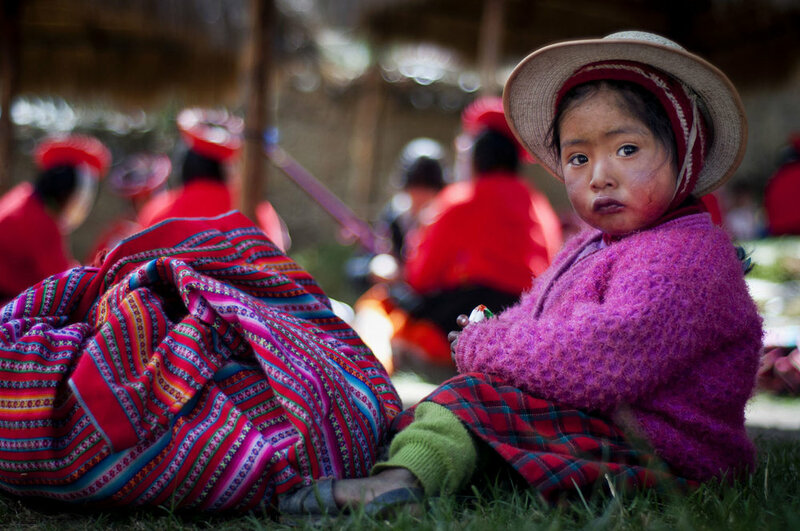 A young Quechua girl waits as her mother weaves with the other Quechuan women, Patacancha, Cusco, Peru.